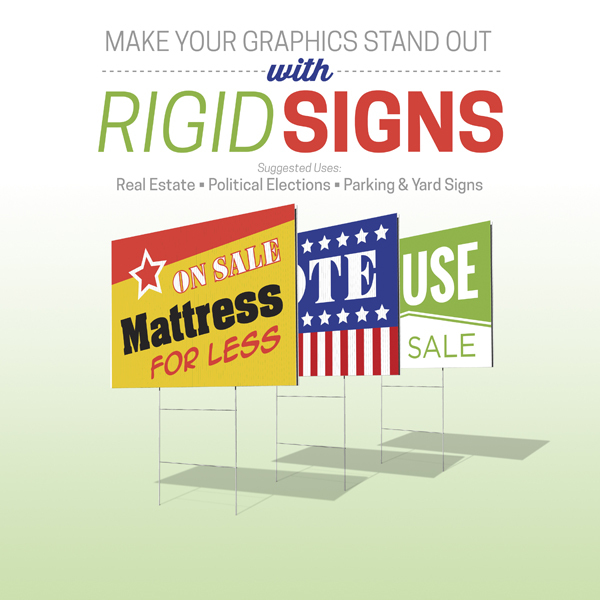 Get your message across clearly and easily with custom lawn signs. 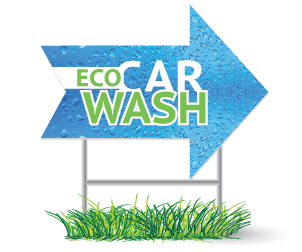 Since our corrugated plastic signs are created using high-quality materials, they will continue spreading your message in rain or shine. 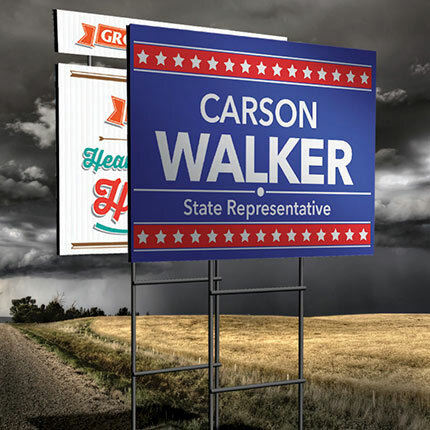 Whether you’re running for a spot on the school board or a seat in Congress, getting your name out there is one of the most important steps for political campaign success. 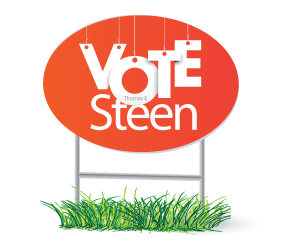 Use our colorful lawn signs to attract new voters and keep people interested in your campaign and what you stand for. 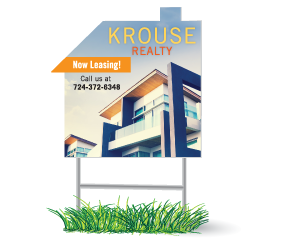 Our signs are also a popular choice for professionals in the real estate industry. 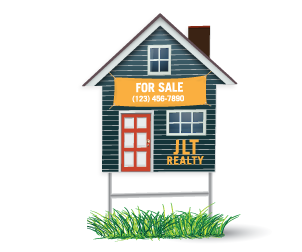 Advertise an open house, announce new rentals, or gain visibility for a property that you are listing for sale. 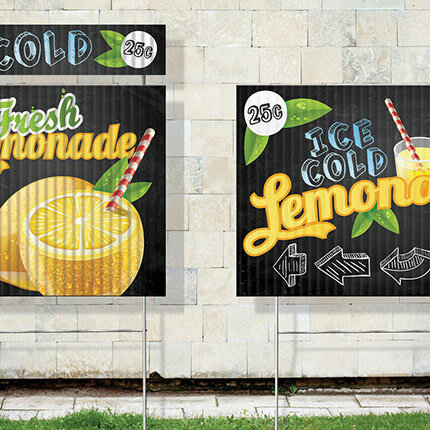 Please be aware that the corrugated flute structure on our Coroplast Signs results in a very subtle linear effect (faint lines) on the product’s surface. 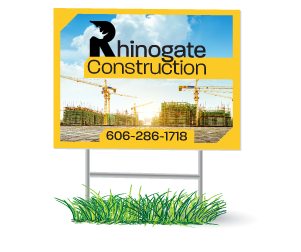 If using H-Stakes, make sure to place your rigid sign order with vertical flutes. 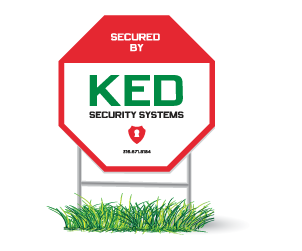 Purpose: Typically used for Yard or Parking signs (e.g. Real Estate, Election, Reserved, etc.). 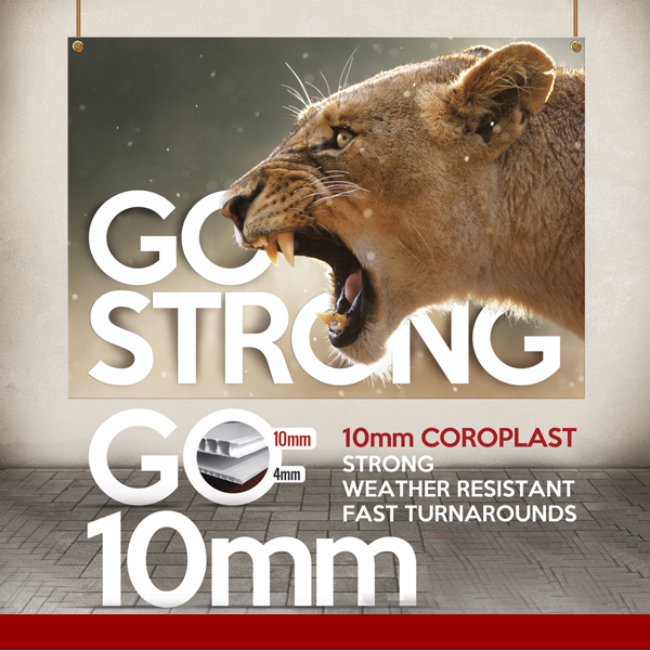 10mm means this sign is 6mm thicker than our standard 4mm Coroplast Sign, resulting in a durability that makes this product ideal for use in areas that are prone to harsh weather conditions. 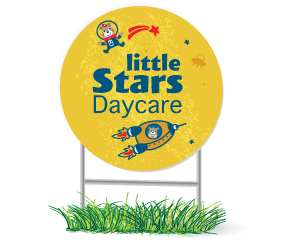 At regular temperatures, oils, solvents and water have no effect on Coroplast which also lends nicely to the endurance of the sign. Please be aware that the corrugated flute structure results in a very subtle linear effect (faint lines) on the product’s surface. 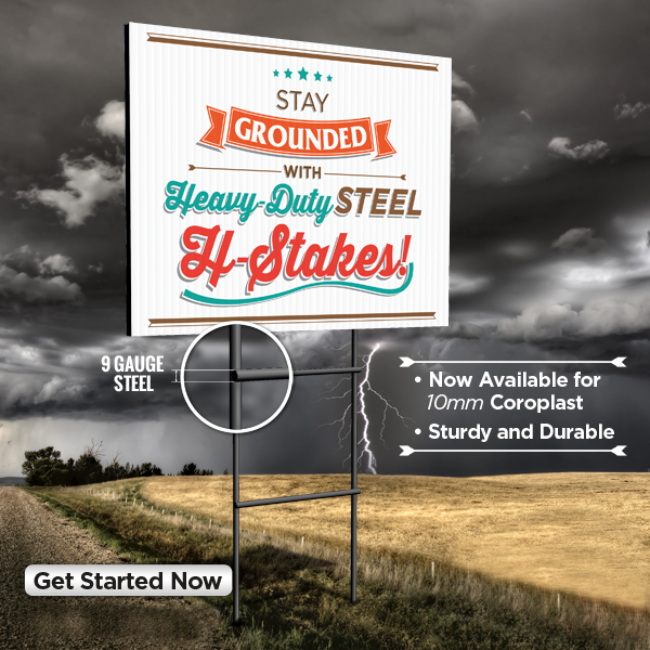 Heavy-duty large steel H-stakes available as an option on this product. They are black in color, measure 8-1/2″ wide by 36″ tall, and are constructed of sturdy 5/16″ steel.” If using H-Stakes, make sure to place your Coroplast order with vertical flutes. 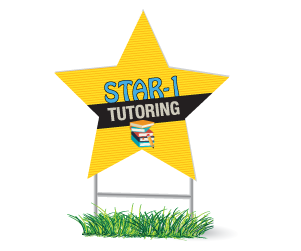 H-stakes are best used on soft ground such as dirt, soil, grass, etc.